MWM NEWS BLOG: Taken By Surprise. 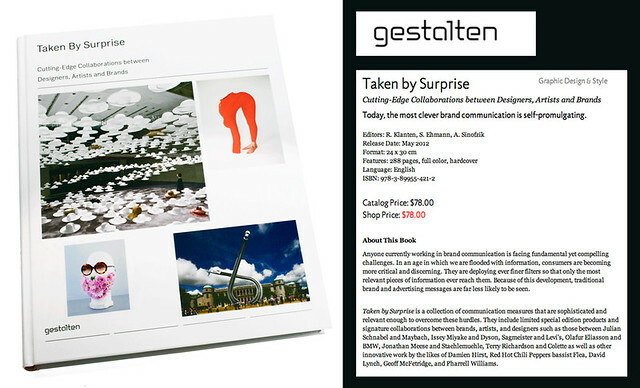 Check out this new book : Taken By Surprise – Cutting Edge Collaborations Between Designers, Artists, and Brands (Gestalten). I am honored to have some recent work featured. Ray Ban Wayfarers and Chiarelli Guitars. Amazing book. Order a Copy.